Dundra Armchair S71AS with generous upholstered seat and backrest forms part of the successful, thriving Dundra seating family that keeps on growing. 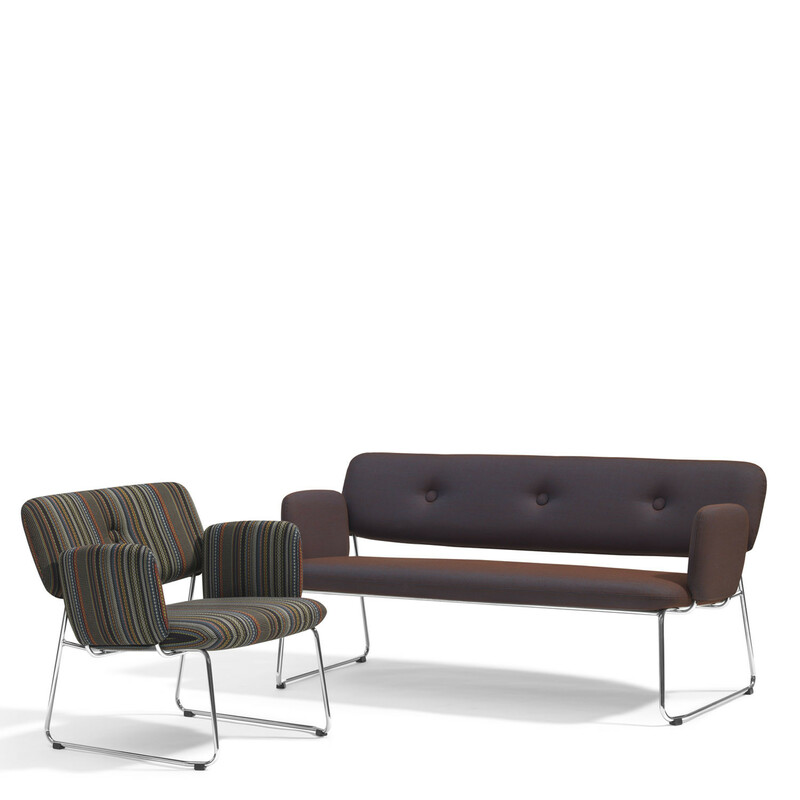 Dundra seating caters for the customer’s needs and requests. 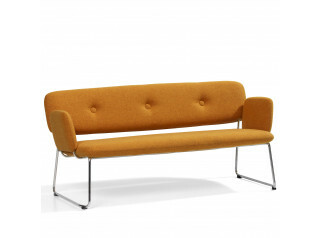 It all actually started with a sofa called Dunder in 2010. A modular soft seating family shaped and built up of cushions, covered buttons, extendable sections – it was friendly and inviting. Dundra chair was then first launched followed by bar stool and bar chair in 2011, and now we’re adding a stackable sofa, an armchair and a stackable stool. 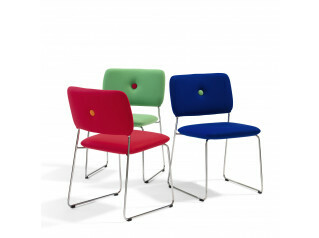 The series has also gained upholstered armrests that can be fitted to the sofa, easy chair, chair and bar chairs. 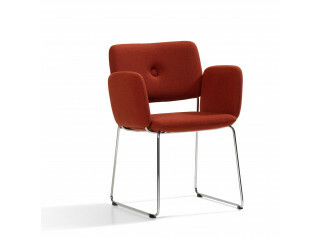 Dundra Armchair S71AS with upholstered armrest. Frame of wood and steel. Padding of moulded CMHR polyurethane foam. Covered in fabric or leather. Steel frame in “green” chrome, Chrome III. Plastic feet. 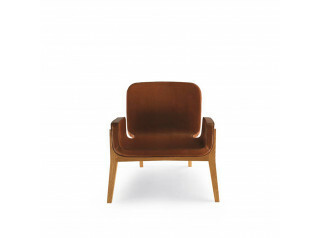 You are requesting a price for the "Dundra Armchair S71AS"
To create a new project and add "Dundra Armchair S71AS" to it please click the button below. 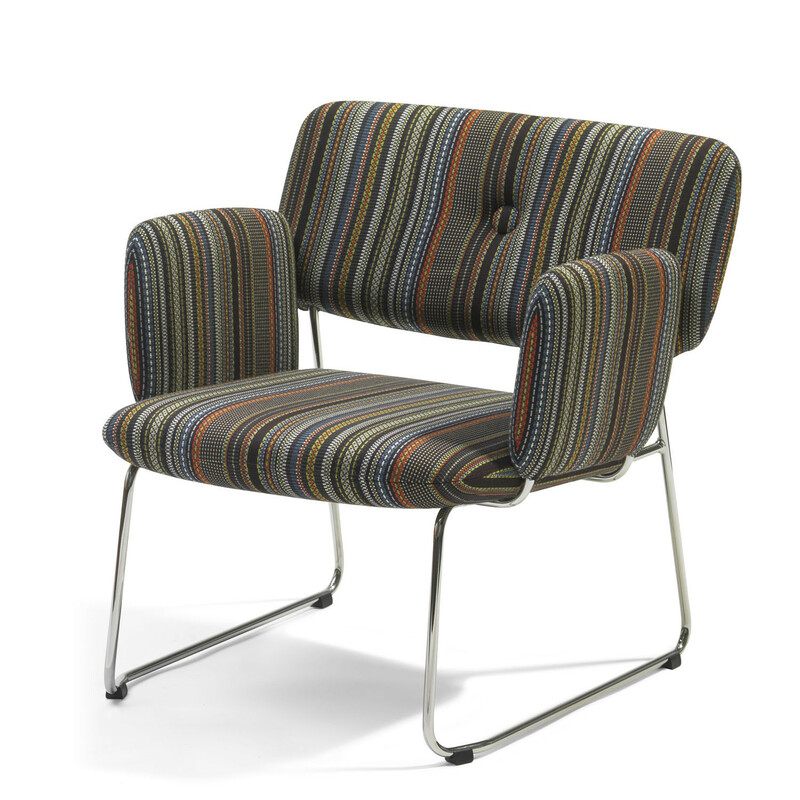 To add "Dundra Armchair S71AS" to an existing project please select below.